Passionate blogger Public School Mama makes the point that Massachusetts is a well-off state, and we shouldn't be struggling to fund public education. The money is there, but the people who have the power to put more money into it, like Mayor Walsh and the State House, are refusing to do so. In another post, she breaks down how the amount of money spent on BPS compares to the rest of the districts in the state. Yes, people marvel at the fact that BPS has a budget of a billion dollars, but, as she explains, that isn't at all excessive. As of 2011, the amount spent per pupil in Boston was pretty average compared with the other districts. However, when looking at percentages of the budget, Boston spends only around 40% on education, while the state average is 53%. Even spending half of a district's budget on education shouldn't be enough. Educating young people (especially those who have fewer resources to begin with) is essential to improving communities, but that's obviously not what Mayor Walsh, Governor Baker, or Superintendent Chang think. Putting much more money into the system would still not be excessive. The system is already not working for the students who need it the most - low-income, disabled, English language learners, students of color- but somehow we keep taking more money away despite that. On top of that, creative programs that have been shown to be effective for students- like art and music- are being cut because there isn't enough money circulating to fund them. 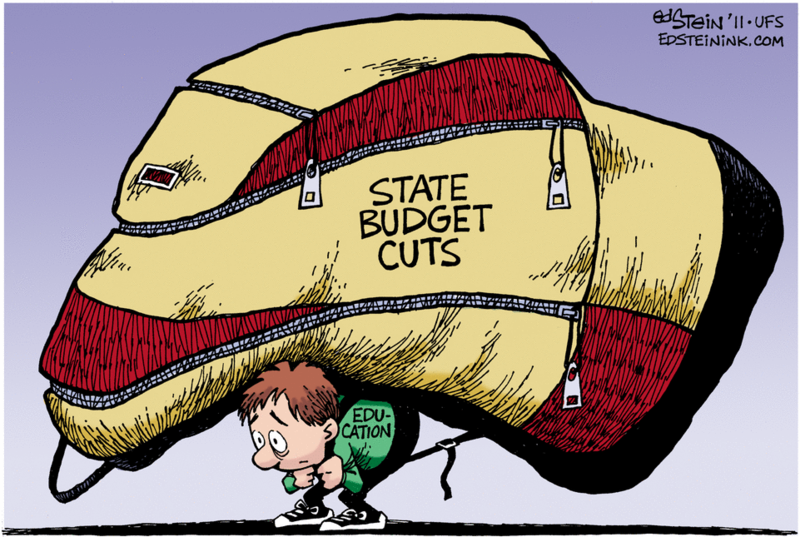 Maintenance costs and student populations are rising faster than the education budget and, without raising taxes or providing more government aid, this is creating multi-million dollar deficits and poorer schools who must serve the most in-need students in the state. In the past few years, the city of Boston has cut millions of dollars from its education budget. The cost of maintaining public school programs will increase by an estimated $55-$65 million, while federal funds will decrease by about $14 million (bostonglobe). For the 2016-17 school year, a decrease in state aid and federal funding will create a deficit of about $40-$50 million (BPS), while implementing other programs, such as extending the school day, will cost around $12 million over the next three years. Sign this petition addressed to Mayor Walsh and Superintendent Chang. Go to the Boston Education Justice Alliance's Emergency Town Hall TONIGHT (Jan 14).